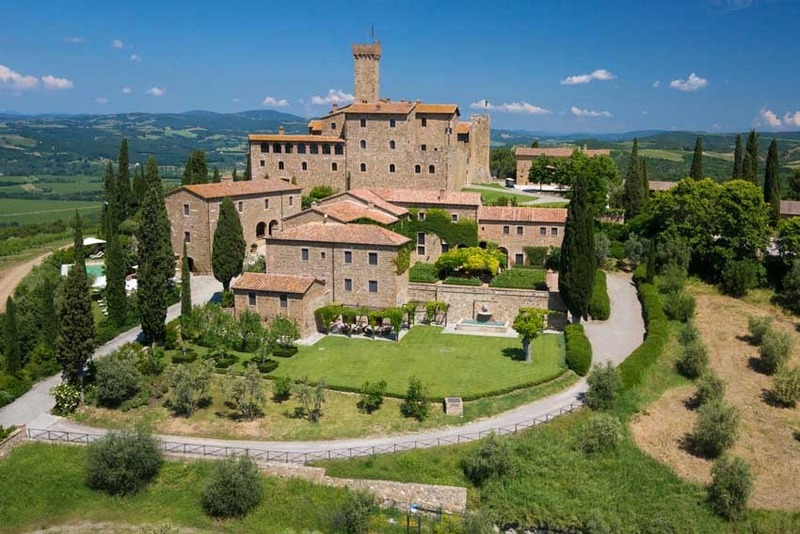 This exclusive Castle is a family-owned vineyard estate and winery in the Brunello region of Tuscany. 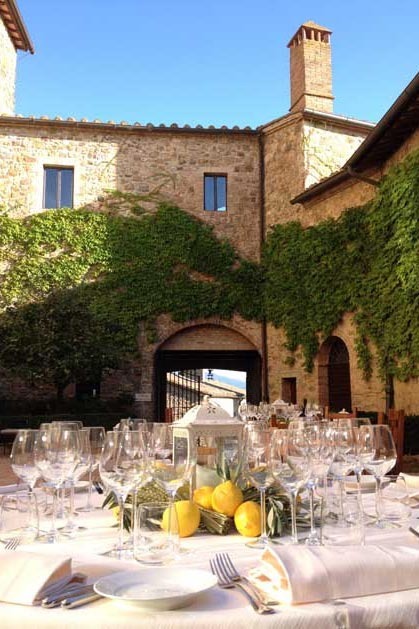 It has become recognized the world over for its dedication to excellence and sparking a renaissance in the art of Italian winemaking. 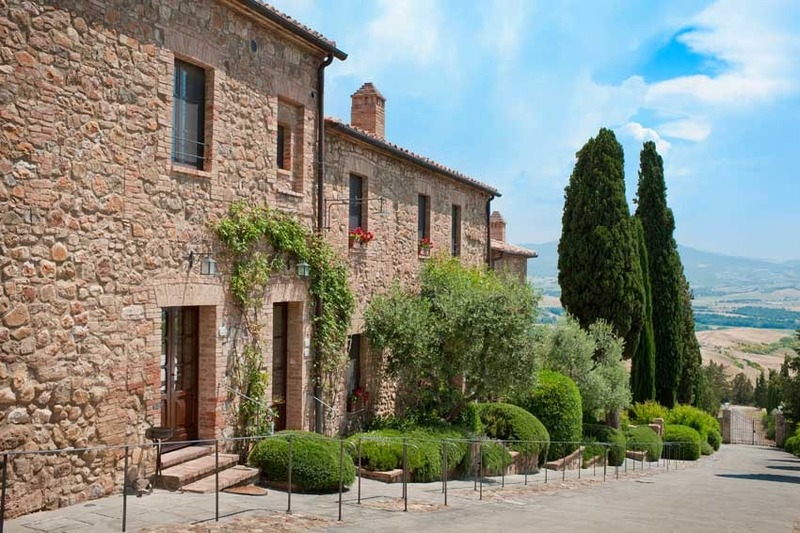 Near the Castle walls there is a small and welcome hamlet built during 17th and 18th centuries. 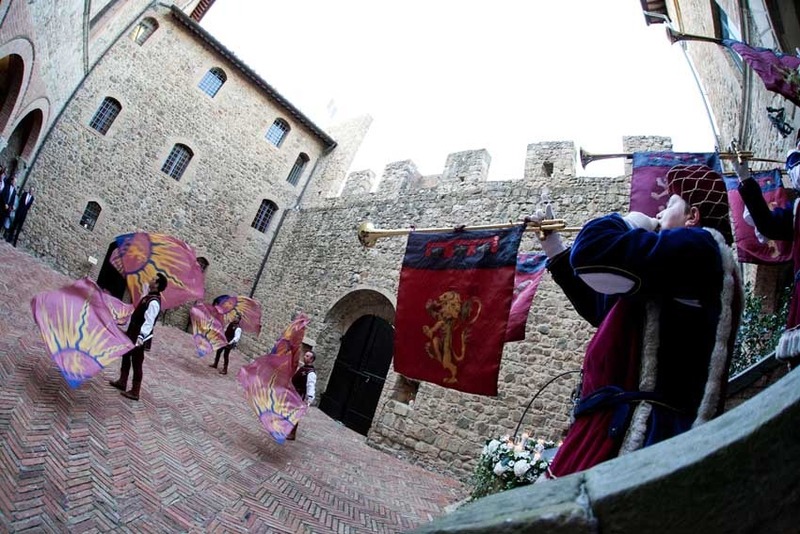 A symbolic ceremony can be organized in the courtyard on in the garden of the Castle. 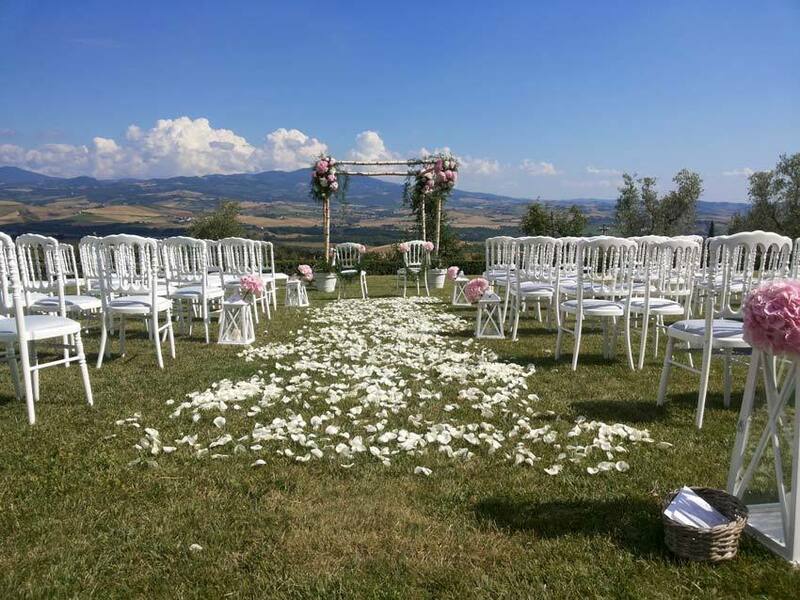 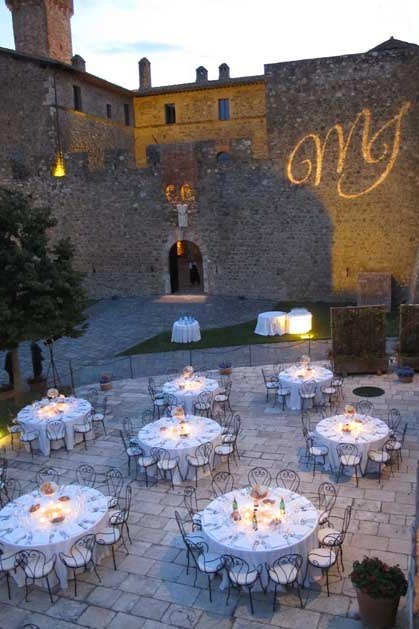 Symbolic ceremony is possible only in the case the couple decides to book all the rooms for 3 nights in high season and 2 nights in low season and have 2 food and beverage events catered by the Castle staff. 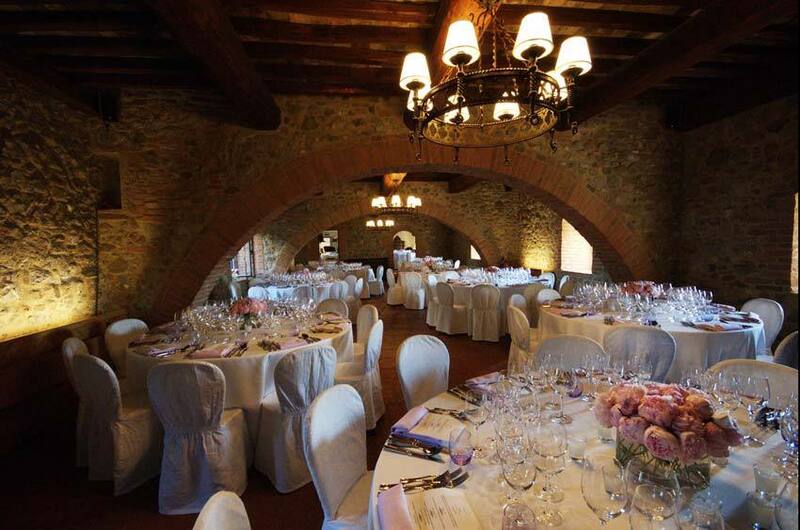 The stone-walled “Sala del Capitano” in the 13th century wing of the castle can be the setting for a romantic, single-table setting up to 52 guests, for a festive banquet for as many as 100 (in the same room) or up to 130 guests using the communicating “Sala della Guardia”. 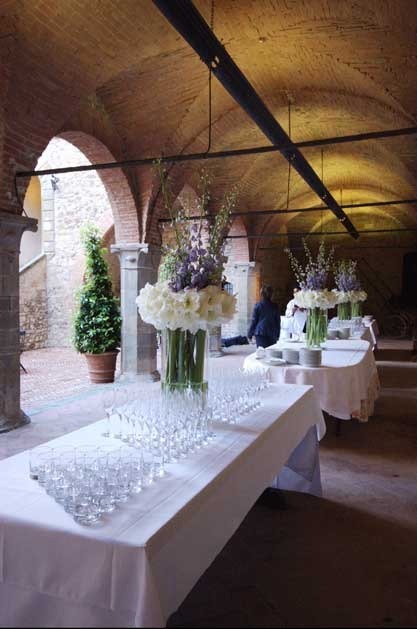 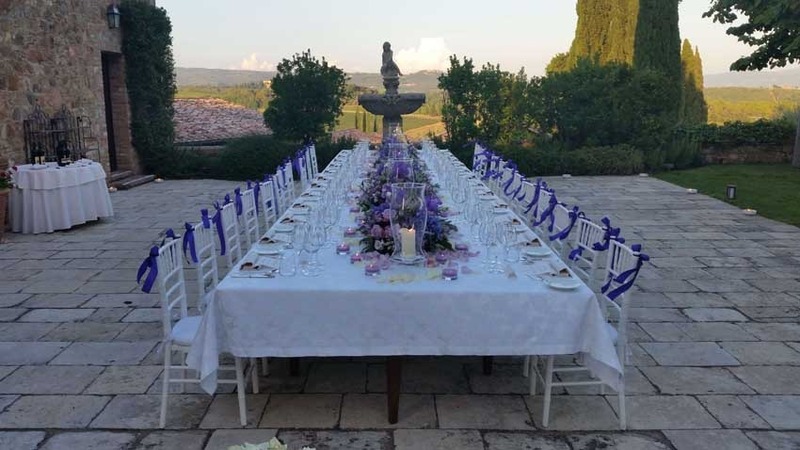 We could also arrange the wedding banquet outside, in the castle courtyard for up to 80 guests or on the terrace in front of the castle for a maximum of 110. 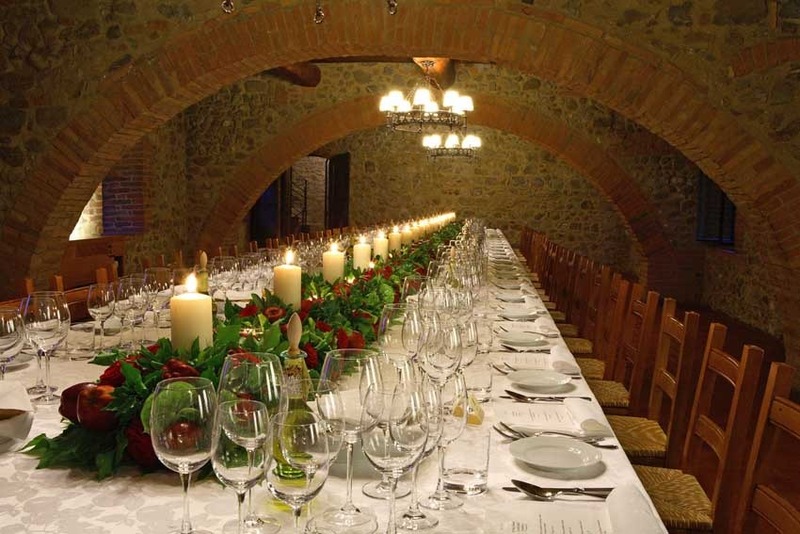 Delicious menus are prepared for the wedding banquets by the local chef, they are accompanied by the wine they produce. 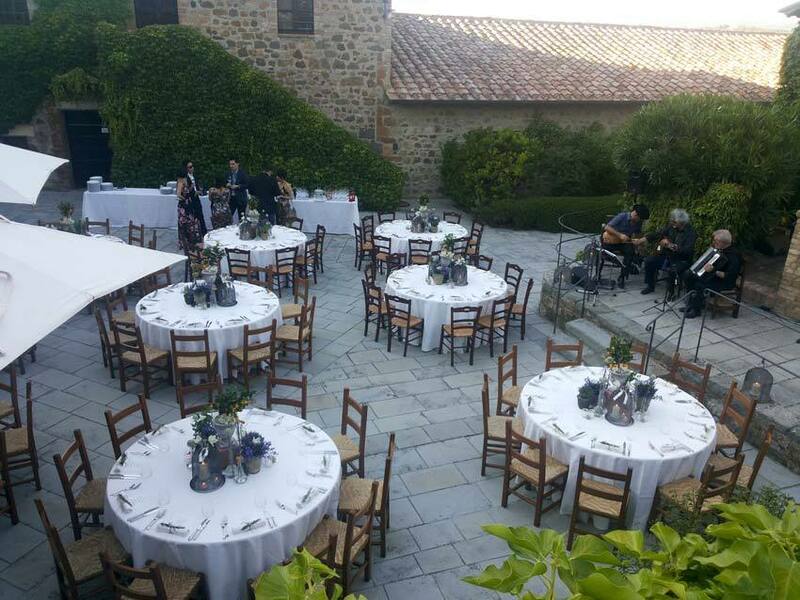 Music entertainment and after dinner party is allowed until 2 am. 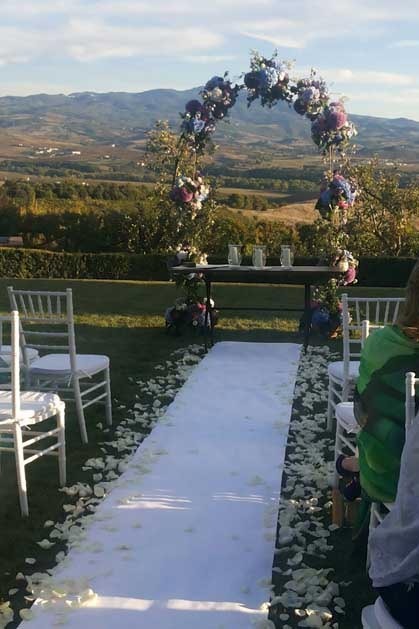 Possibility to extend the party until late! 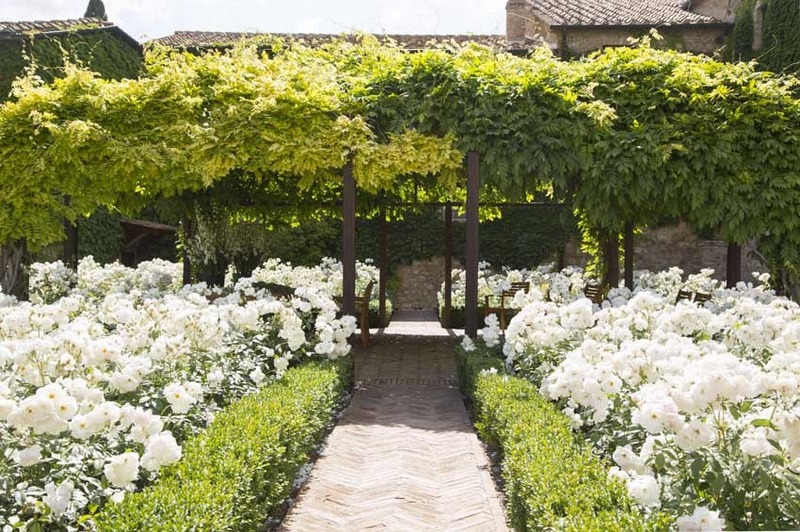 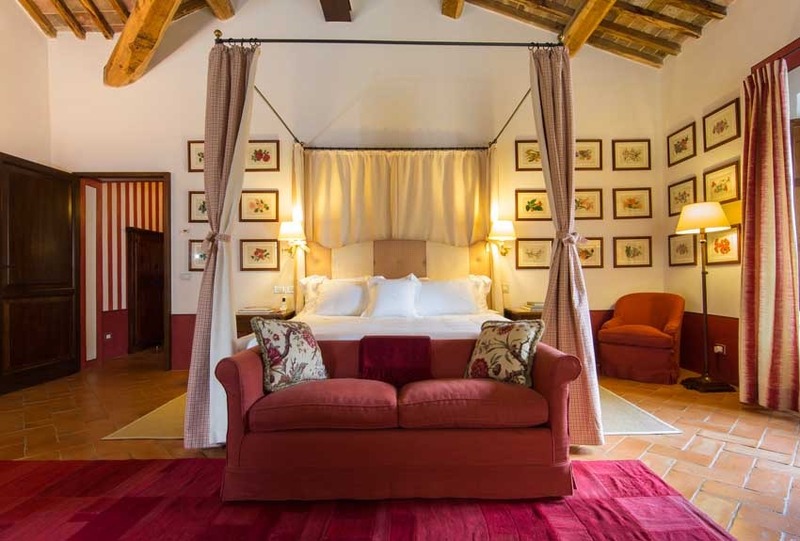 This hamlet provides 14 luxury rooms, all in Tuscan country style. 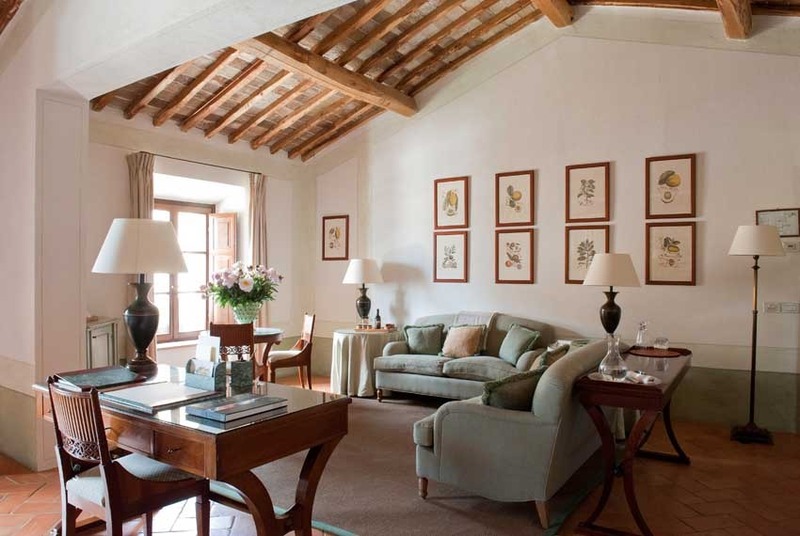 Spouses and guests can enjoy the swimming pool, the appointed reading room, have cooking classes, vineyard treks, bike rides or cultural tourism in the surroundings!